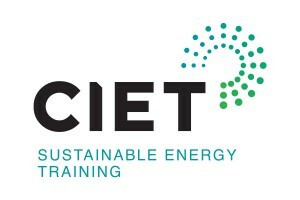 BOMA Manitoba is partnering with the Canadian Institute for Energy Training (CIET) to bring the Building Operator Certification (BOC®) program to Winnipeg again in early 2019. The Building Operator Certification (BOC®) program is eight modules rolled out over a nine-day skills based training. It provides facility personnel with improved job skills and knowledge to transform workplaces into more comfortable, energy-efficient and environmentally-friendly spaces. Each course consists of highly interactive and hands-on classroom training facilitated by very knowledgeable and experienced building professionals. Project assignments are to be completed at the participant’s facility, and an in-class test administered at the end of each day of training. Building operators are responsible for the day-to-day maintenance and operation of large buildings with complex heating, mechanical and electrical systems – and these offer many opportunities for big energy savings. You and your company can do a lot to make sure that your buildings are operated in the most energy-efficient way possible – increasing tenant comfort, saving money and reducing your environmental footprint. For more information on the BOC program or to register, please visit BOC’s official website. Congratulations to the 2016 BOC Spring program graduates. To see a list of graduates, click here.